The Andaman and Nicobar islands offer white sandy beaches where you can relax, soak up the sun and enjoy various adventurous water sports activities. The Exotic 5-Nights 6-day Andaman tour package is a well-planned itinerary devised to offer you a memorable holiday. 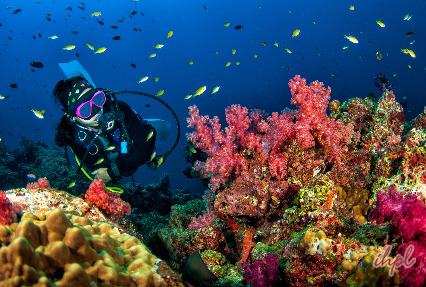 During your Andaman trip will be visit to the Radhanagar Beach, snorkeling at Elephant Beach, light & sound show inside the Cellular Jail, enjoy coral reefs to enjoy their abundant sea life and relaxing at Bharatpur beach and Laxmanpur Beach. Andaman and Nicobar Islands is an ideal place for you to wind, away from stress of city life. Your Andaman Nicobar trip starts with your arrival in Port Blair in the morning/afternoon. After reaching the airport, meet our tour representative who will assist you in smooth transfer to the hotel. On arrival, check-in at the hotel. Rest for a while. 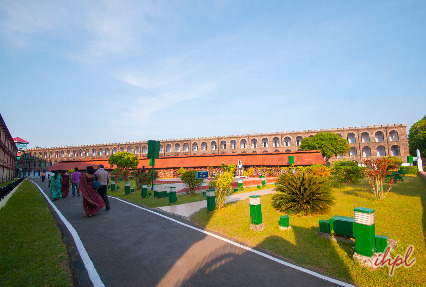 After lunch, you will visit the extremely popular Cellular Jail. An excursion to the jail will surely make your family holiday memorable. Formerly known as Kala Pani, it was a colonial prison used by the British to deportee political prisoners to this remote location. Next in line is a visit to the Water Sports Complex (closed on Wednesday). Partake in water activities of your interest such as speedboat ride, banana boat ride, Jet Ski, Glass Bottom Boat ride and so on. (You can carry extra clothes for a change). Relaxing at a seaside café is another option. The evening is scheduled for enjoying the famous Light and Sound Show at Cellular Jail. The show speaks volumes about the saga of countless martyrs of Indian Independence struggle who laid down their lives. It is conducted every evening within the premises of cellular jail. By evening, return to the hotel for an overnight stay. Day 2 of your Andaman Nicobar tour starts early. 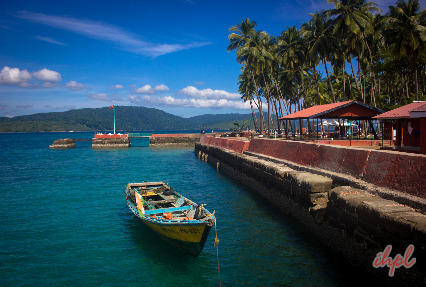 You board the morning ferry from Port Blair to Havelock Island. Carry packed breakfast. This journey is of around 2.5 hours. On reaching, get transferred to the respective hotels to complete the check-in formalities. Unwind yourself. In the evening, you visit the popular Radhanagar Beach, which is also known as Beach No 7. 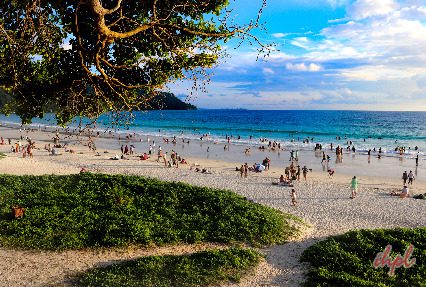 It was also rated as the 'Best Beach in Asia' by the Time Magazine. Sunset views appear truly magical from this beach. Back to the hotel for unwinding and overnight stay. Wake up early on day 3 of the Andaman Nicobar trip. On this day, you are going for a memorable excursion to the beautiful Elephant beach. The car will come at 07:00 hours. Be ready as the boat will leave the jetty at 07:30 hours. 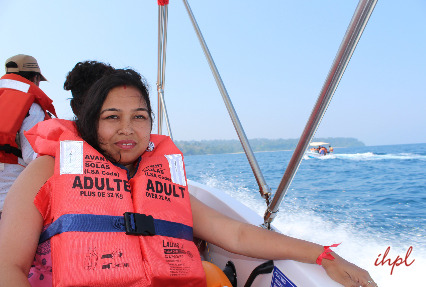 The boat ride from Havelock Island to Elephant beach takes around 23 minutes. This surely is going to be an unforgettable snorkeling experience for you. Post breakfast in the morning, check out from the hotel. Board a ferry from Havelock and get transferred to the Neil Island. On arrival, you will be transferred to the respective hotels for check-in. Your Andaman tour package allows you to enjoy a visit to the very popular Bharatpur beach and Laxmanpur Beach in the evening. 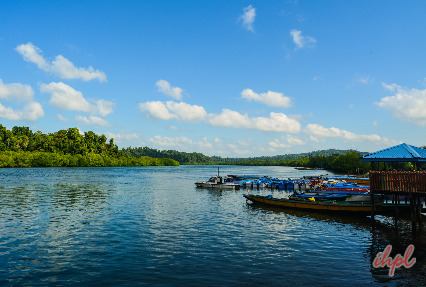 After breakfast at the hotel, check-out and go on-board the ferry for your onward journey to Port Blair. On arrival in Port Blair, the rest of the day is at leisure. Explore the surroundings on your own. Partake in some adventure activities to make your Andaman Nicobar trip enthralling. Overnight stay at the hotel. Today, you will say a final goodbye to the Port Blair city. Later, check out of the hotel and get transferred to the airport for your journey back home.